Ranveer Singh is busy in promotion of his upcoming film “Gully Boy”.We can see gully boy effects on his clothes also.Now days ranveer is wearing colorful clothes with the effects of Gully Boy. Actor is popular for his unique dressing. Colorful outfits of Ranveer are always in limelight.Some people are appreciating this and some are making meme. Ranveer posted on Instagram Gangsta of love.Outfit was designed but Manish Arora Fashion.Deppika Padukone commented “one of my favorite look” on Ranveer Singh post. 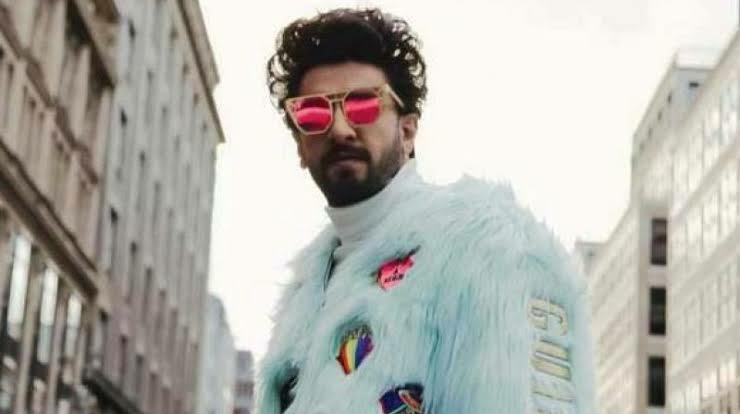 Arjun Kapoor is also appreciating looks of Ranveer.On a Instagram post he comment “Mera Dil le gyi o kamo kidhar main dhundu usko idhar udhar”. Gully boy is in cinemas now.People are appreciating. The new concept and unique style of working of Ranveer. He is full of energy and extraordinary enthusiasm.I will recommend movie because of it’s songs like “mai Teri galli maein” . Soon we will share the Gully Boy Review.